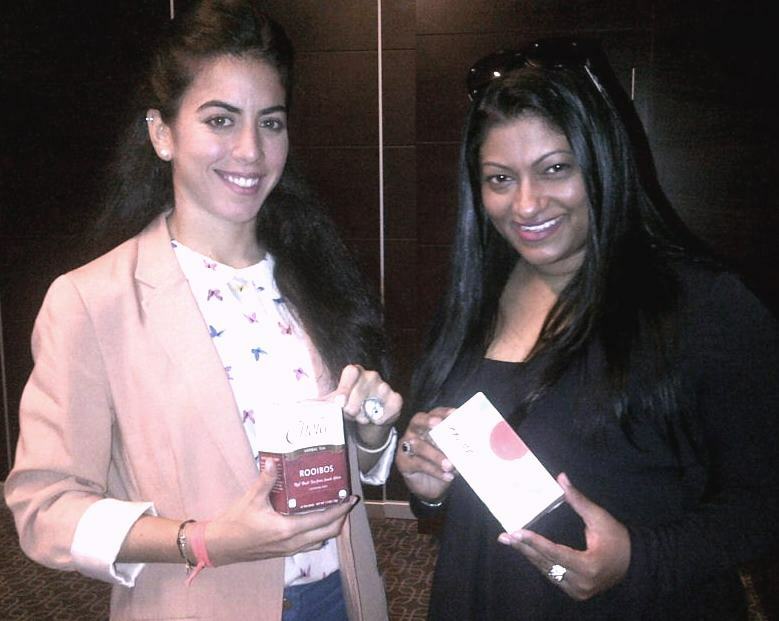 I love alternative healing and detoxing therapies and thanks to some forward thinking individuals and gorgeous nutritionists in the UAE like Hala Barghout, I often get enlightened on what I should be eating and drinking to keep myself fairly healthy. Especially as I have a huge appetite for the good stuff in life, super foods somehow help me keep a balance so that my voluptuous figure doesn’t go totally toxic. I first got introduced to rooibos tea when Eric came home few years ago raving about it and coaxed me into bringing some of the more organic stuff back from one of my previous trips to Cape Town. Since then, friends have brought this herbal tea for me plus one can also get them easily here now in nutrition shops in UAE. As Hala mentions, rooibos offers a range of health benefits and has been shown to slow down cancer, reduce the risk of heart disease and stroke, and help with a range of other conditions, including diabetes. Rooibos is a national drink in South Africa but it’s not just about taste –rooibos contains a complex and unique blend of antioxidants that play a major role in boosting the body’s natural defences. I met Hala at Pullman Hotel after a long time – my last contact with her was when she enlightened me about the benefits of kiwi fruit. This time, it was all about rooibos which she delightfully tells me also contains no calories and no caffeine, and researchers have found that it can help to lower blood pressure, boost the immune system, prevent liver disease as well as cut the risk of heart disease and stroke. New evidence has just emerged of the anti-diabetes potential of rooibos, following a joint study conducted by the Diabetes Discovery Platform from South Africa’s Medical Research Council (MRC) and the South African Agricultural Research Council’s (ARC) Infruitec-Nietvoorbij Institute. Researchers found that an aspalathin-enriched extract of green rooibos is able to lower raised glucose levels in the blood of diabetic rats. Aspalathin is a unique antioxidant found in nature only in the rooibos plant (Aspalathus linearis). When combined with rutin, another key compound in rooibos tea, the glucose-lowering action was further enhanced. Working with diabetic rats, the researchers were able to show that the Rooibos extract could achieve a glucose-lowering effect comparable to existing diabetic drugs. Hala said that research has also shown rooibos to be effective in easing stomach cramps and other digestive disorders, relieving allergies and soothing itching skin. Substituting regular tea or coffee with rooibos, drinking camel’s milk instead of cow’s milk, adding kiwifruit to the fruit bowl – these are all easy steps to a healthier lifestyle. In fact, to get the maximum health benefits from rooibos tea, researchers in South Africa recommend the consumption of up to six cups per day, spread throughout the day, including a cup at bedtime. I was not able to meet with Fanus Schoeman, South Africa’s Consul-General in Dubai but he had mentioned earlier that there is a large potential market in UAE for rooibos tea. He hopes the health benefits will help rooibos win many new fans in the UAE. The rooibos plant is indigenous and unique to the Cederberg and surrounding areas of the Western and Northern Cape in South Africa, where rooibos tea is produced. The plant and the tea brewed from it were first documented in 1772, and today the tea can be found in 72% of South African homes. About half the annual production of 12,000 tonnes is exported, and it is already widely available in UAE supermarkets. The manner in which the rooibos leaves and stems are harvested and dried determines whether the tea will be the traditional amber or red colour or the lighter and milder green variety. Both versions are entirely natural products and contain no colourants, additives or preservatives. 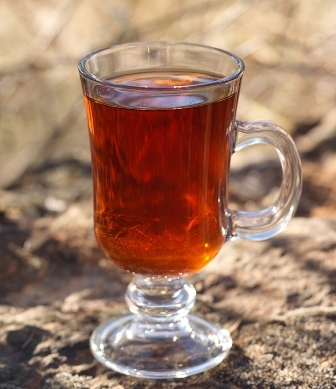 The Rooibos Council in South Africa is currently funding AED 1 million worth of independent research to advance the understanding of the health-promoting properties of rooibos – and in particular its ability to slow down and prevent various forms of cancer as well as its potential to protect heart health in individuals at risk of cardiovascular disease. Other topics being researched include the possibility that rooibos could be beneficial in slowing down the effects of ageing, its anti-obesity properties, its role in post-exercise recovery and its potential in combatting stress. Looks like I am switching from my dear Maxim’s premium organic tea to rooibos to get my detox accelerated and my chakras aligned. Could this be diva’s next ultimate health drink alternative?